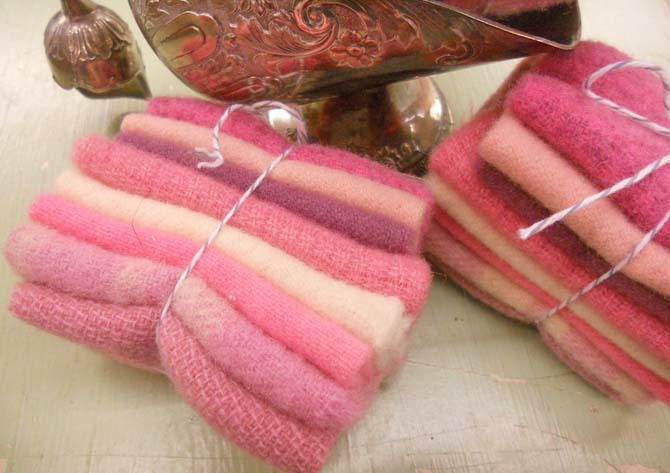 Taffy...wool bundle...8 pieces measuring approximately 4 x 6 inches. This bundle of delicious wool includes 8 bubbly pink wools. Shades include: hot pink, rose, cream, cotton candy, and violet pink. This listing is for 1 Taffy wool bundle. bundles vary due to hand-dyed nature and availability. Beautiful pinks, fast delivery. Thanks so much! I live where it’s difficult to buy wool and it needed small pieces of pink. It fit my needs, shipped fast, was great! Just as advertised.